Chhattisgarh has excellent power infrastructure, and is a power surplus state. With a potential to produce 50,000 MW of power, Chhattisgarh has the prospect to become the power hub of India. As of March 2011, the total installed power generation capacity for Chhattisgarh was 4,882.4 MW, which comprised of 2,199.0 MW under the state utilities, 1,831.9 under private utilities, and 851.5 MW under the Centre. As on March 2012, average uninterrupted energy demand of the State is 2,732 MW and average supply has been around 2,740 MW. The current consumption pattern is 24.52 percent domestic, 4.58 percent non-domestic, 55.84 percent industrial and 14.14 agriculture (against 10 percent in 2001). 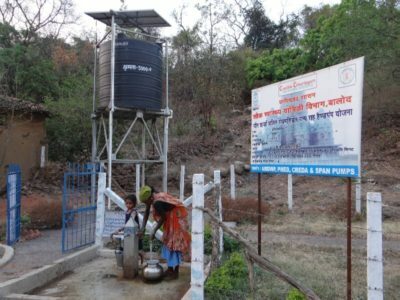 Keeping its promise to reach the unreached, BPL connection holders (1.3 million connections) get 13.63 percent and beneficiaries of irrigation pump schemes (small and marginal farmers) get 14.3 percent of the power generated. For the domestic and agriculture sector, priority has been given to electrification of BPL households, schools-hospitals, and energisation/line extension for irrigation pumps. 6. The Chhattisgarh State Power Generation Company Limited became functional w.e.f. 01.01.2009. The reforms also encouraged private players to use Chhattisgarh’s locational advantage for setting up Captive power plants. It allowed and facilitated third party sales to buyers outside the State. In addition to the Chhattisgarh State Power Generation Company Limited (CSPGCL), the power in the State is generated by Independent Power Producers (IPP), which includes LANCO and Jindal Power. Over 87 percent of private sector power capacity and over 93 percent of state - owned power capacity are from coal-based power plants. The State has placed significant emphasis on renewable energy development. 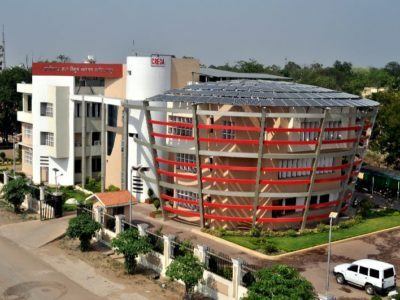 CREDA is the State Nodal Agency of Ministry of New &Renewable Energy (MNRE), Government of India responsible for Development, Deployment, and Promotion of Renewable Energy (RE) in the state. RE based power plants currently generate about 279 MW, and contribute over 5 percent to the total power generation in the State. Based on the state’s excellent potential for production of tree borne oilseeds (TBOs) such as Pongaemia, Pinnata (Karanj) and Jatropha (Ratanjot) it was felt that there is a need for effective and coordinated management and monitoring of the activities connected with promotion of plantation, collection of seeds, extraction of bio-fuel and marketing of bio-fuel from tree borne oil seeds. As such, the State set up the CBDA for promotion of bio-fuel in in January 2005. The CECB has also been playing a key recommendatory and regulatory role in the power sector. 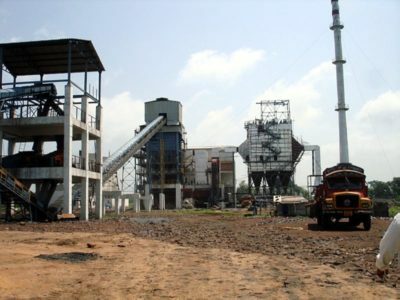 It has taken steps to ensure that the State adopts super-critical technology for all new large power plants to improving fuel burning efficiency by 1-3 percent, and making the use of high concentration slurry based disposal systems for fly ash disposal to minimise pollution and dispersal/fugitive emissions of fly ash for all new thermal power plants from 2010 onwards. The CECB also recommends the use of ‘beneficiated’ or washed coal in thermal power plants in the state for energy output maximisation and efficiency, as well as recommending plantation and advocating the use of alternative fuels. While state-sector power generation capacity has increased mainly through renovation and modernization of existing plants and installation of additional capacity and improved energy infrastructure like very high-tension transformers and 100 percent increase in line extensions. However, in terms of efficiency the progress has been mixed. On the production side the Plant Utilisation Factor (PUF) of thermal power plants is up from 65.75 to 88.99 percent -- one of the best in the country. However, on the distribution side, losses are still unacceptably high, at around 30 percent. The overall State priorities of the energy sector have already been outlined in the State Energy Policy, in subsection 9.3 above. For the domestic and agriculture sector, priority has been given to electrification of BPL households, schools, hospitals, and energisation/line extension for irrigation pumps. Several new small and large power projects of nearly 35,000 MW are in the pipeline. With State’s policy of encouraging private players and joint ventures three large power plants with a combined capacity of 5,280 MW are in various stages of completion. Additional investments of 22,000 crore to generate 5,000 MW is expected to come in the 12th Plan period, subject to allocation of coal blocks and clearance of coal supplies. In the national interest Chhattisgarh has been canvassing for establishment of pithead thermal power plants. This will not only keep cost of power generation low but also free the freight carrying capacity of railways. This has also been recommended by the Thirteenth Finance Commission and needs to be considered seriously for the energy security of the country. To compensate for the negative externalities that the host State bears, in terms of degradation of its land and water resources, it needs to be either allocated ten percent free power or allowed to impose a four percent duty on the power generated. This will enable it to plough back these resources for rehabilitating the surrounding population and natural resources. Since power generation in Chhattisgarh is predominantly thermal –and with significant addition to thermal power generation capacity in the coming years, this distribution will get further skewed. High dependence on coal-based power generation, looking at the nationally projected shortfalls in domestic coal production, is an issue and the State is seeking to spread its risks. With attention shifting to cleaner production sources, coal-bed methane has become a vital source of energy and State will promote exploration and extraction of natural gas from its coal-beds. As per targets, the State was to electrify all its villages and habitations in the 11thPlan. By March 2012, 548 villages and 10,906 habitations were still unconnected and the target seems difficult to achieve. Progress has been slow due to problems of initiating work in forest areas, adverse population norms of Rajiv Gandhi Gram Vidyutikaran Yojana (RGGVY) and lack of feasibility in many inaccessible areas, as well as LWE related security issues. The challenge in the 12th Plan will be to provide uninterrupted and metered power supply to all the villages and habitation, either through line extension or off-grid solutions. Chhattisgarh has so far electrified nearly 1378 off-grid villages and promoted use of non-conventional energy. Despite abundant availability of biomass, schemes for community-managed biomass gassifiers and biogas-based plants have had limited success and need to be reviewed. The State will pursue CDM projects in energy efficiency and renewable energy, and use the resources generated to cover habitations ineligible for RGGVY. Energy saved is energy generated. With high transmission and distribution (T&D) losses (transmission losses-3.7 percent and distribution losses - 30 percent) and presence of a large number of energy intensive industries and MSMEs there is vast scope for improving energy efficiency. In the 12thPlan industrial units and MSMEs engaged in energy intensive activities and agriculture sector would be encouraged to cut down waste. The target will be to cut energy wastage across sectors by ten percent and bring T&D losses at par with the national average by system strengthening and establishing new/efficient sub-stations to check losses. Strengths of the private sector will be deployed in power distribution to improve efficiency and cost recovery to make distribution utilities viable so that they are in a position to continue providing cheap and affordable power to all. With a bullish growth expected in the power sector through the entry of private players, energy regulatory environment needs to be further strengthened to ensure access for all while taking care of environment. While there have been no Chhattisgarh specific detailed studies on climate change available evidence shows several pointers on the impact the energy sector has on climate, as also the impact climate change is likely to have on the energy sector. Energy services are a necessary input for development and growth. At the same time, fossil energy conversion, and end use, is recognized as a major contributor to global warming. Today 70 percent of greenhouse gas emissions come from fossil fuel combustion for electricity generation, in industry, buildings, and transport – and these emissions are projected to rise. By 2050, the global population will grow to 9 billion, with growth mostly concentrated in developing countries with improved living standards. If we continue as we are today, delivering energy services and sustaining economic growth will result in a tripling of annual greenhouse gas (GHG) emissions. Efforts are under way, in developed and developing countries, to arrest and reverse the growth in GHG emissions and lower the carbon footprint of development. The energy sector is a primary target of these efforts. Consequently, capacity is being built to integrate lower carbon development objectives into long-term (20 to 30 year) energy planning processes. Experience and knowledge of new technologies and measures to lessen carbon footprints are being exchanged. There is significant focus on the major scale-up of renewable energy sources, efficiency measures (supply and demand side), loss reduction, and cleaner fossil fuel combustion technologies. Energy services and resources will be increasingly affected by climate change—changing trends, increasing variability, greater extremes, and large inter-annual variations in climate parameters in some regions. Though potential climate impacts have been recognized strongly within the energy sector, is the focus has mainly been on the responsibility for greenhouse gas mitigation rather than on the management of energy services. Climate impacts cross the entire energy supply chain. Impacts on energy supply and demand are the most intuitive but there are also direct effects on energy resource endowment, infrastructure, and transportation, and indirect effects through other economic sectors (e.g., water, agriculture). This exposure is driven in part by the current state of the sector (e.g., inefficiencies in energy and water use mean energy services are vulnerable and have less capacity to deal with change). Increasing temperatures are almost certain to reduce heating demands but increase cooling demands overall, but inter-annual variability will remain and cold periods will not disappear. Seasonal demand profiles will alter responding to user needs for energy for heating and cooling in buildings, for industrial processes, and for agriculture (e.g., irrigation). Flooding and droughts will continue, with likely impacts on infrastructure (including silting of reservoirs), and on demand. Climate change may impact the generation cycle efficiency and cooling water operations of fossil fuel fired, nuclear, and biomass fired power plants. Biomass/biofuel generation could be affected by changes in cultivation regimes. Energy transportation infrastructure (for power, oil, and gas) are also variously exposed to wind gusts, storms, storm-related landslides and rock falls, land movements, siltation and erosion processes, as well as changes in water basins. The table below summarizes potential impacts on the energy sector. The energy sector vision will be to strive for improved energy security in Chhattisgarh through multiple strategies including improving generation, transmission, distribution, scaling up use of renewables, promoting energy efficiency across all sectors, as well as fostering mechanisms for demand side management. A range of initiatives is already underway in the State as described above and also new initiatives are planned under the 12th FYP Approach Paper; additionally, the State has now developed policies for the RE power subsectors. The State recognises that while energy systems already take account of some climate risks in their operation and planning, adaptation measures can further reduce their vulnerability to environmental change, by building capacity and improving information for decision making, and integrating climate risks into management and operational decisions, and as such, is committed to taking all necessary measures to build in climate concerns into energy sector policy, planning, and implementation. Feasibility of gas based and other alternative source power plants will be being explored. Proper upkeep of GSS transformers. To facilitate power supply for metro-rail schemes envisaged for cities as part of improving public transportation systems, which will also be expected to considerably reduce emissions. Investing in building consumer awareness about energy efficient equipment and energy conservation measures. RE generation has a significant role to play in Chhattisgarh, and the State is taking significant measures to promote this subsector through CREDA. 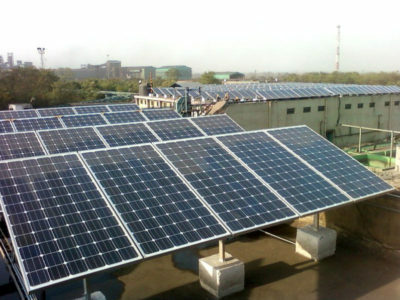 The State will explore the provision of banking and wheeling facilities for all grid connected renewable energy electricity generation projects up to 25 MW. Entry tax will be waived on capital costs for equipment for decentralised distributed generation (DDG) based renewable energy plants of less than five MW. The State will also encourage project developers to install or adopt mechanisms such as CDM for leveraging funds for renewable energy based projects.